A large number of people use their mobile phones today. The trend shaped the development of additional features that further promote convenience and ease of use. A good example is the use of the device as a tool for payment. Specifically, some applications or features allow processing of purchases. Here are essential ideas to help you understand the concept of mobile payments and other aspects related to the topic. Mobile payment is a general idea that focuses on the different tools that allow payment processing using mobile phones. Examples of these are peer-to-peer, in-store mobile payments, and mobile credit cards. The term mobile payment processing is a type of mobile payments that use a person’s credit card details. It utilizes specific technologies that allow users to transact with merchants using a phone or tablet. The method is different from the conventional POS terminal as users can accomplish transactions with just a tap of their mobile phones. In mobile payment processing, the technology to make successful transactions is near-field communication (NFC). NFC allows the transfer of relevant information such as credit card details from one user to another. Such process allows people to send money using their wallet to the merchant. QR codes are another form of technology that handles processing. It involves the use of barcodes that contain accurate information. Usually, stores scan the unique code to accomplish the transaction. 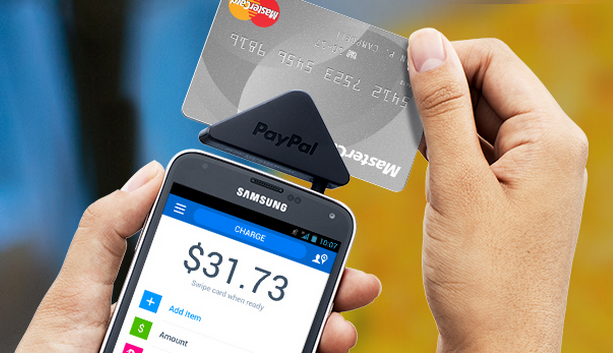 Today, NFC-enabled mobile devices are becoming the norm for mobile credit cards. The increasing preference of using NFC in mobile payments is due to their safety. Using the technology gives people a more secure transaction due to proper management of data. Specifically, in every transaction, the merchant receives a credit card number that only relates to the sale. Also, additional tools for security are available. For instance, some devices require fingerprint to verify identity. Although these innovations are not invulnerable, it helps customers feel confident in purchasing items or services using the method. Lastly, you need to become familiar with how to properly use mobile payments. Although they provide convenience, there are specific features that you need to understand. For instance, each provider has their approach to addressing security and protection of your data. Some companies also fair better in their customer support and assist clients in making a hassle free transaction using mobile. It is essential to look for a system that complements your needs as a consumer or business. Overall, the points above offer the significance and development of mobile payments. As people become increasingly dependent on the use of their mobile phones, innovations such as payment processing enhance their shopping and online purchase experience. It is a significant tool that offers convenience to people and businesses. Having a proper appreciation of the technology and the corresponding issues with security and protection of data gives you the chance to gauge its value. Altogether, it can become advantageous when you pattern the solution to meet your lifestyle and needs. If you are planning to tap mobile payment processing to up your earnings, check out useful tips at paymentsprocessing.co. You can also find out how to turn your mobile devices into a cash register at https://www.sba.gov/blogs/payments-go-turning-your-mobile-device-cash-register. Everyone’s doing everything today on their mobile devices. You can turn them to your cash registers with a good mobile processing system. Find out how at paymentsprocessing.co.